TreeCalc is web based software that applies the principles of tree statics to undertake a structural analysis of the tree according to international standards and engineering conventions. Using only basic tree dimensions, tree species and factors to describe the local wind environment TreeCalc can provide a quantitative basis for decision making presented in the form of a safety factor. TreeCalc is an evolution of the Statics Integrated Assessment tool (SIA) proposed by Lothar Wessolly, and has been developed by TreeConsult, a respected arboricultural consultancy based in Germany. Have you ever reluctantly specified pruning to manage a tree with a defect despite intuitively feeling that the likelihood of failure was low? It is likely that every arborist has, at some time, recommended precautionary pruning measures whilst being aware that this is primarily liability driven. Unfortunately there is a pressure to be seen to be doing something where structural issues are obvious. TreeCalc can help change your approach. 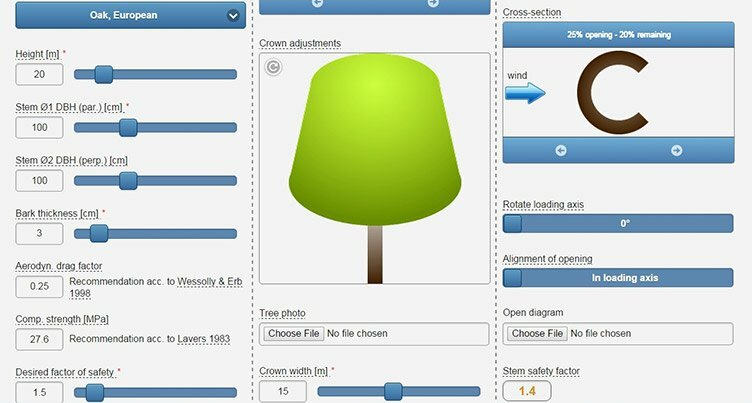 A basic or theoretical safety factor demonstrates how much stronger the tree is than it needs to be to carry the loads expected during an extreme wind event, assuming it is defect-free. TreeCalc can then demonstrate how this safety factor would reduce given cavities of varying extent. Confidence that the observed strength loss need not be concerning, in terms of the impact on safety factors, can then be assured simply by matching the suspected extent of decay with the pictorial scenarios of hollow cross-sections presented by TreeCalc. Tree statics can change the way you view defects in trees. The principles apply to general tree survey practice. TreeCalc can provide the basis for a major shift in the way you undertake routine visual tree assessments. 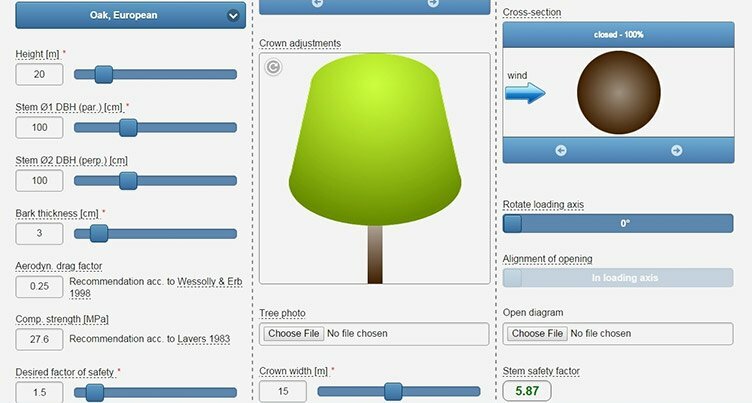 For more information on TreeCalc and Static Load Assessment contact us on 0117 244 0012 or info@treeworks.co.uk or click the Contact Us button.